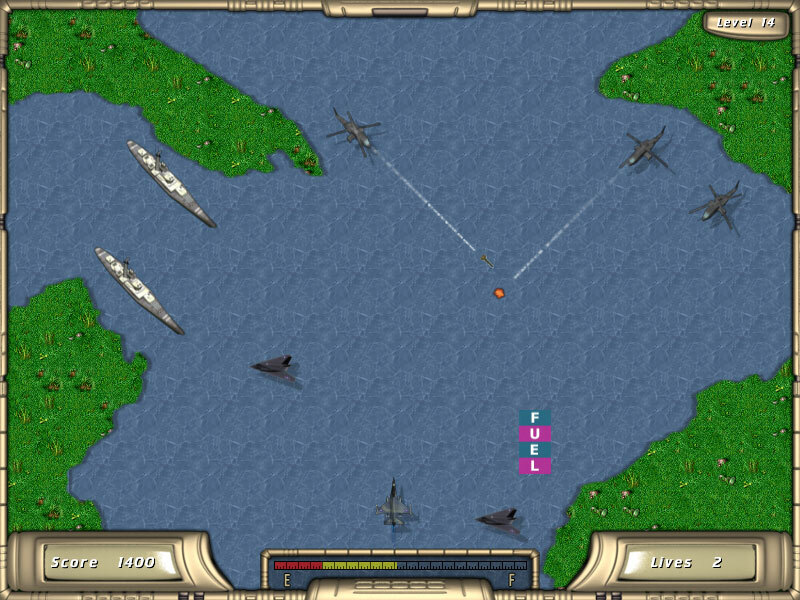 This game is remake of old and very popular game - River Raid. Staggering gameplay, 50 levels - from very simple to complicated, a lot of enemies with different types and behaviour, wide variety of special effects and stereo sound - guarantee of 100% joy and satisfaction. Your task is guide your fighter near above river's bed and terminate as more enemies as you can.Fuel tanks at your aircraft is not fathomless so you need to refuel time to time. ...... Fuel tanks at your aircraft is not fathomless so you need to refuel time to time. Enemy's forces will try to prevent you with your mission and you need to be careful. Beware of antiaircraft deffence units! Good luck! And have a nice ride! Qweas is providing links to River Raider 1.0.9 as a courtesy, and makes no representations regarding River Raider or any other applications or any information related thereto. Any questions, complaints or claims regarding this application River Raider 1.0.9 must be directed to the appropriate software vendor. You may click the publisher link of River Raider on the top of this page to get more details about the vendor.